Otomax is an ointment used to treat ear infections. It is a combination steroid, antibacterial, and antifungal ear medication labeled for use in dogs. Epi-Otic is the most widely used pet ear cleanser worldwide. It is a mild, alcohol-free cleansing and drying solution. 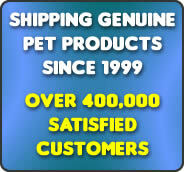 It is labeled for use on dogs, cats, puppies and kittens of any age. Epi-Otic is useful for routine ear cleaning or prior to treatments. It removes debris and dead tissues.